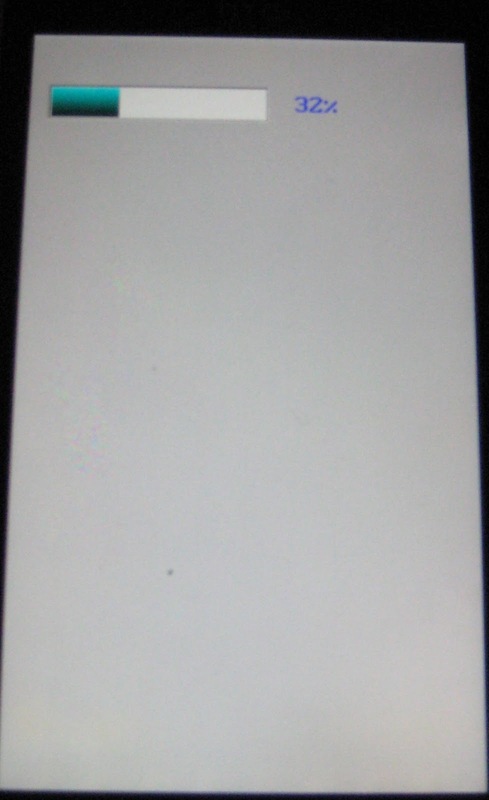 I have a HTC Titan (X310e) which suddenly turned into garbage when it would only show a garbled home screen after having the screen turned off once (Everything looked fine after reboot). Also all my email "apps" were missing and I could not access anything social (People, or settings about People og social networks). After lots of Googling, I gave up on finding a solution online. I decided to delete everything on the phone and jailbreak it (since vanilla WP7 didn't have any backup functions anyways). So thanks to dragonide from XDA Developers. Turn off your phone and disconnect it from the computer. Hold volume up and down then press power. continue holding the volume buttons. Connect to computer with USB. you might have to try different USB ports. Check"Safely Remove Hardware and Eject Media" in the system tray; My phone came up as Titan USB Sync on some ports, in that case flashing failed with 264 and 266 errors. (See http://forum.xda-developers.com/wiki/index.php?title=Elf_RUU_Error_Codes for explanation of errors). 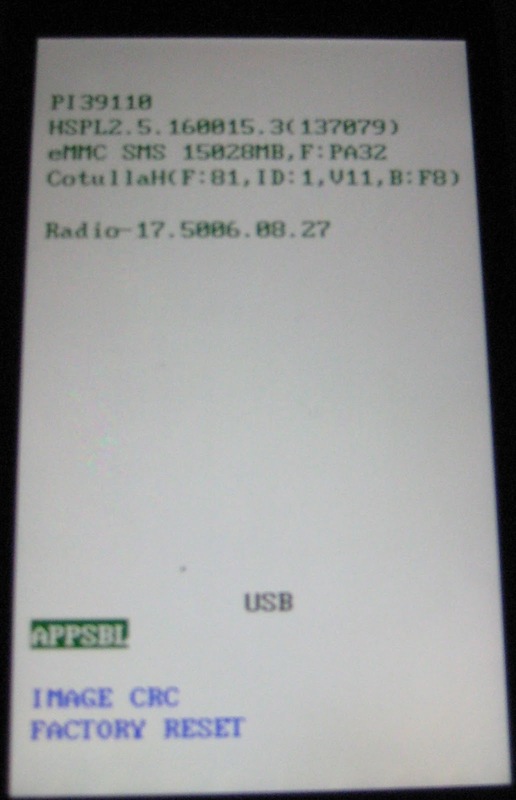 When it came up as Qualcomm CDMA Technologies MSM on a port, flashing worked fine. Unpack DFT__HSPL_WP7SG1.rar using for example 7-Zip (http://www.7-zip.org/), just right click the file and select open archive. Run \DFT_HSPL_WP7SG1\1_SPL205\TITAN\ROMUpdateUtility.exe and follow instructions (takes about 1 min). You should see the progress bar in parallel on both the computer and the phone. When complete, the phone reboots. Hold the volume buttons until you enter SPL. 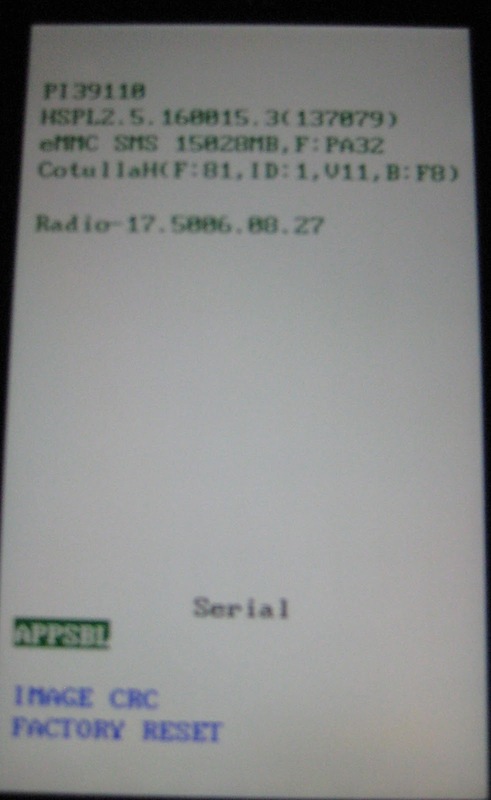 Notice that it now says "HSPL2.5.160015.3 (137079)" and "Radio-16.23.06.10" (Radio was 17... before flashing on my phone). Run \DFT_HSPL_WP7SG1\2_HSPL\DFT_HSPL_WP7SG1_INSTALL.exe and follow instructions (install HSPL) (takes about 1 min). Phone will reboot after flashing. When rebooting, hold volume to enter SPL. Unpack DFT Eternity 24 langs Freedom V1 Pearl Edition.7z. Run \DFT Eternity 24 langs Freedom V1 Pearl Edition\ROMUpdateUtility.exe and follow instructions (takes about 10 min). 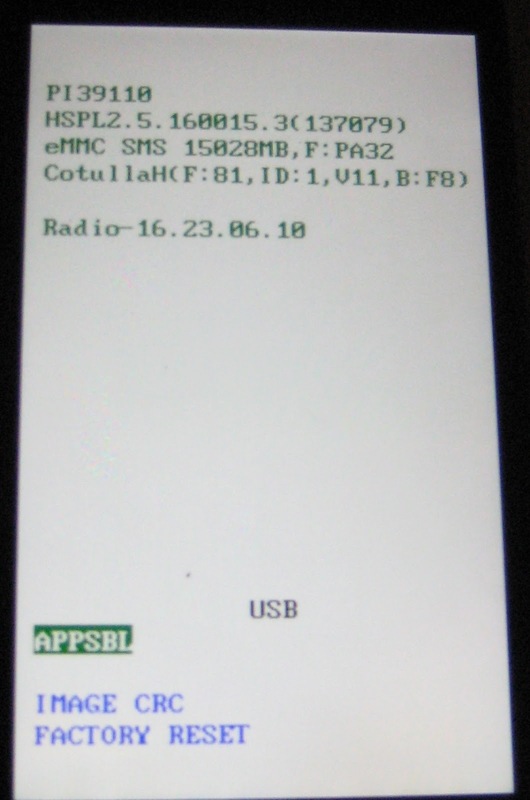 After completing flashing the phone will reboot and probably hang/freeze on boot (just showing the HTC logo). Reboot phone (just hold the power button or remove the battery). Hold volume buttons to enter SPL. 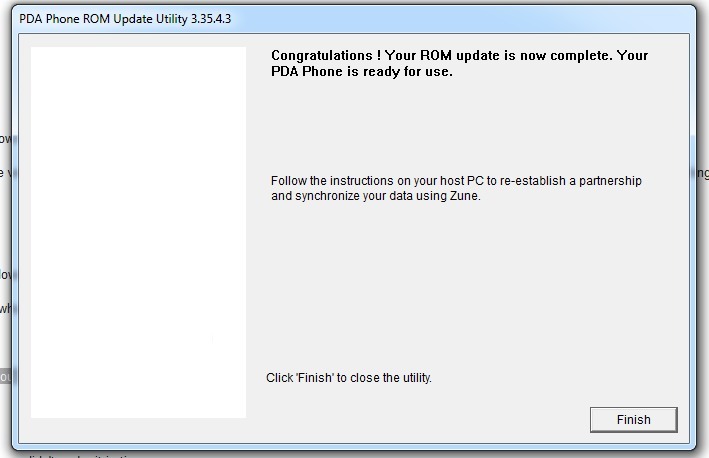 Run \RUU_ETERNITY_Radio_Signed_17.5006.08.27_17.08.50.06\ROMUpdateUtility.exe (takes less than 1 minute). Turn off the phone (remove the battery). Put your SIM card back in. Power on the phone like normal and go through the Windows Phone 7 setup process. Note: My system is a Windows 7 machine, things may differ on your system.